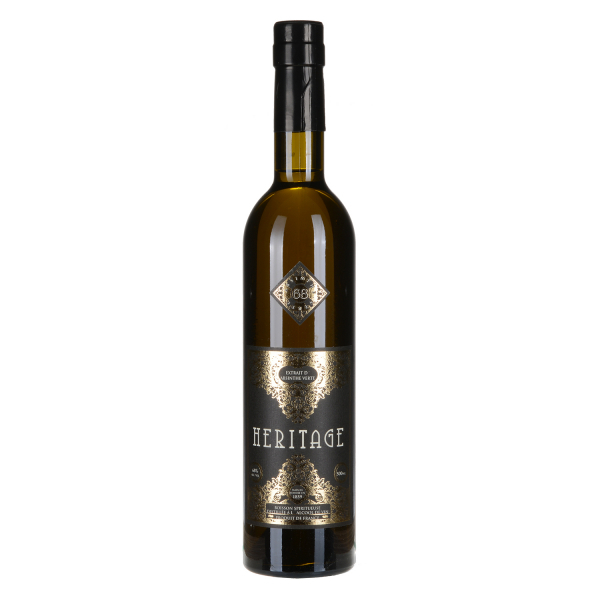 Absinthe Heritage Verte is produced by Devoille in Fougerolles, France. The formula contains grand wormwood, green anise and a not overseenable ammount of fennel. That's very interesting because it's been not that long ago, since french government stopped restricting the fenchone content in food and beverages. This fennel makes Absinthe Heritage very powerful. One can smell this right from the start and can confirm this impression when drinking. Besides the usual trinity of herbs, there are obviously a few others, but since especially the fennel is so strong, one can hardly identify anything else. Due to the fact that there's a lot fennel - and therefore fenchol, the louch is spectacular and very fast. It's creamy and tasty, powerful. More a sledgehammer as a gracious dancer. Weiterführende Links zu "Absinthe Heritage"